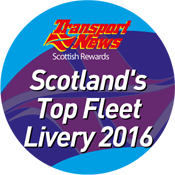 We celebrated success in November 2015 at the Transport News Scottish Rewards breakfast by lifting the Scottish Top Fleet Livery title! 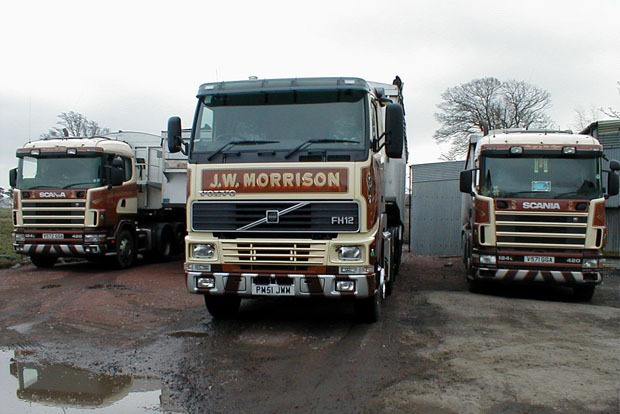 Having previously owned a coachworks garage, it was inevitable that the image of J.W. 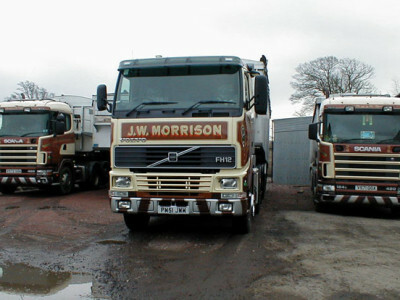 Morrison’s trucks was going to be unique. 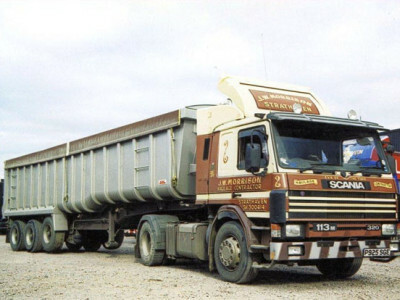 Originating from Joe Morrison’s two favourite Triumph colours, our award winning livery was born and it adorned the very first truck back in 1978. 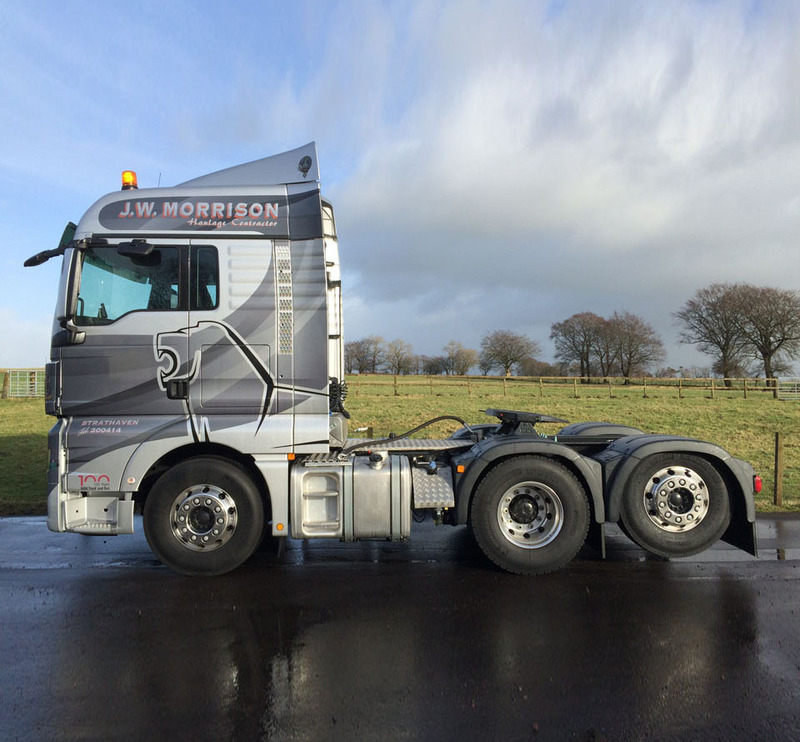 Common to each of our trucks is our mission statement ‘Eye of the Tiger’ which was chosen to describe Joe’s attitude to seeing the task ahead and completing the job no matter the difficulty. 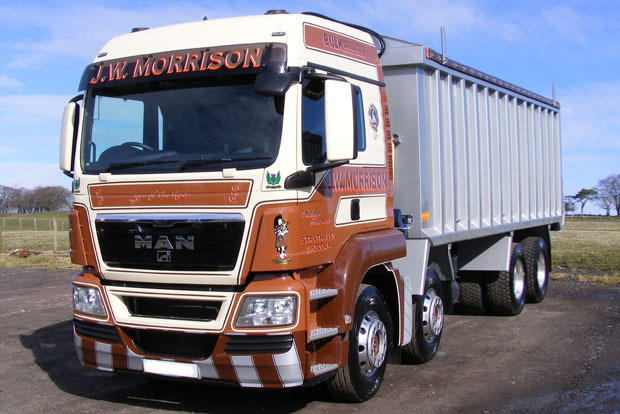 As a one off we broke from tradition and introduced a truck which celebrates M.A.N.’s centennial year. 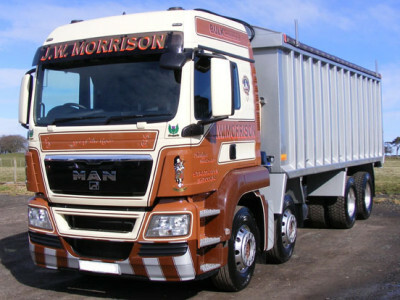 In collaboration with M.A.N. 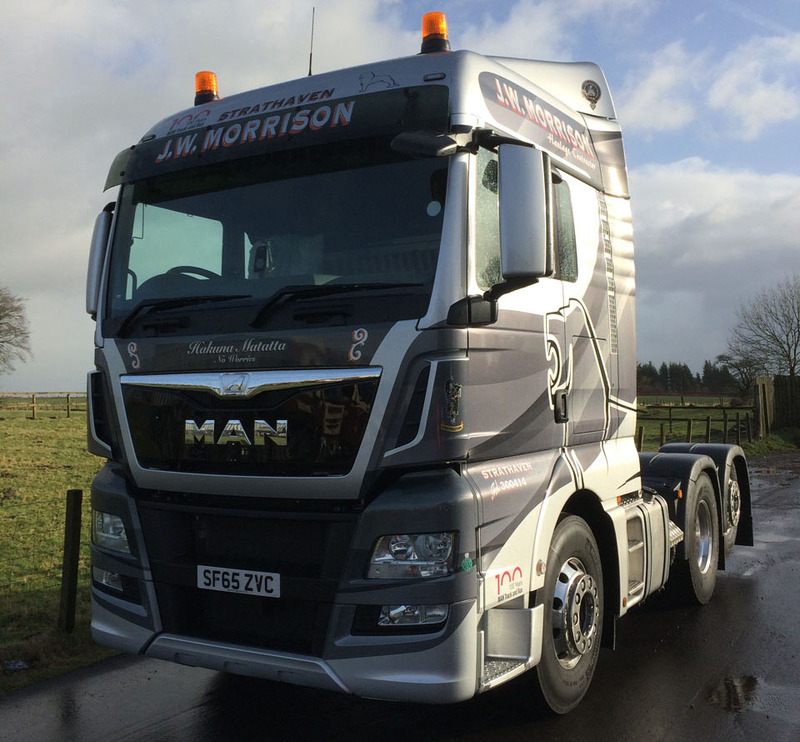 the truck incorporates both our own livery and that of M.A.N.’s lion but in different shades of grey and silver. 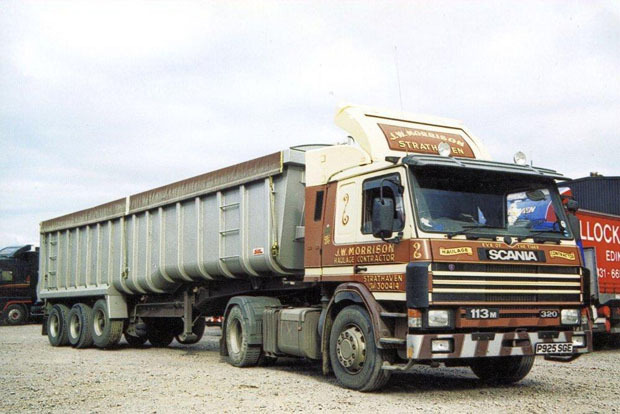 This truck doesn’t have the ‘Eye of the Tiger’, in its place is the well-known saying ‘Hakuna Matatta’ which means ‘No worries’. 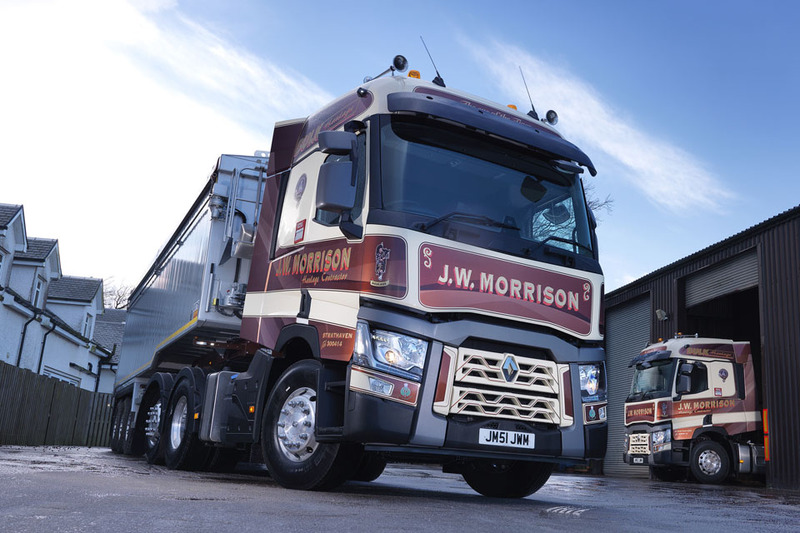 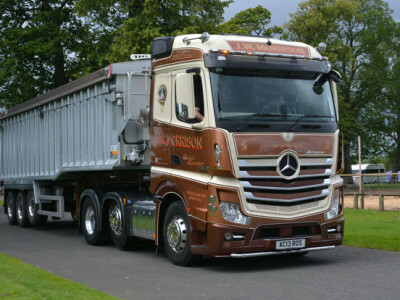 Strathaven based JW Morrison lifted the Scottish Top Fleet Livery title at the annual Transport News Scottish Rewards presentation ceremony held in Glasgow on Friday 6 November. 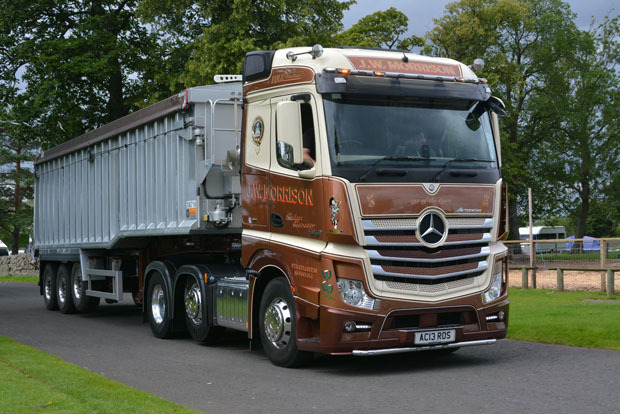 The popular breakfast celebration, now in its 22nd year attracted 600 road haulage industry guests and filled the banqueting suite of the Crowne Plaza Hotel. 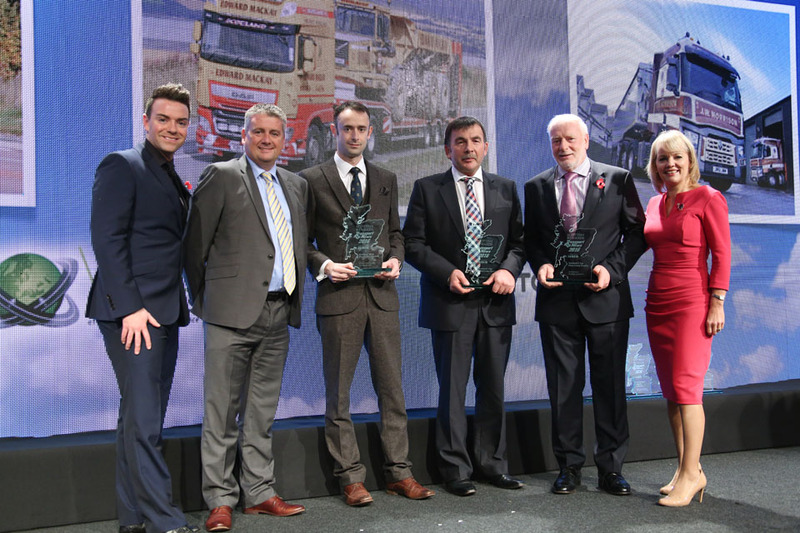 Scottish Top Fleet Livery Award: L to r Comedian Des Clarke, Paul Cochrane, managing director of category sponsor Vtec handed over the award to Joe Morrison of JW Morrison, next to TV presenter Mary Rhodes.